Riyi Shi and Purdue colleagues have developed a tiny, spinal cord-implanted, 3D printed sensor that quickly and accurately tracks glutamate in spinal trauma and brain disease. The goal is to monitor drug effectiveness, and predict migraine headaches in humans, although it has only been tested on animals. Glutamate spikes are often missed. Damaged nerve structures allow glutamate to leak into spaces outside of cells, over-exciting and damaging them. Brain diseases, including Alzheimer’s and Parkinson’s, also show elevated levels of glutamate. Devices to date have not been sensitive, fast, or affordable enough. 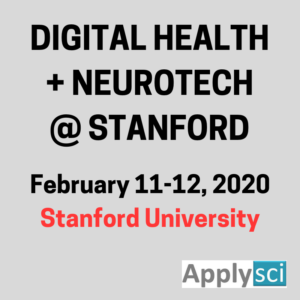 Measuring levels in vivo would help researchers to study how spinal cord injuries happen, and how brain diseases develop. In a recent animal study, the device captured spikes immediately, vs current devices, where researchers must to wait 30 minutes for data after damaging the spinal cord. 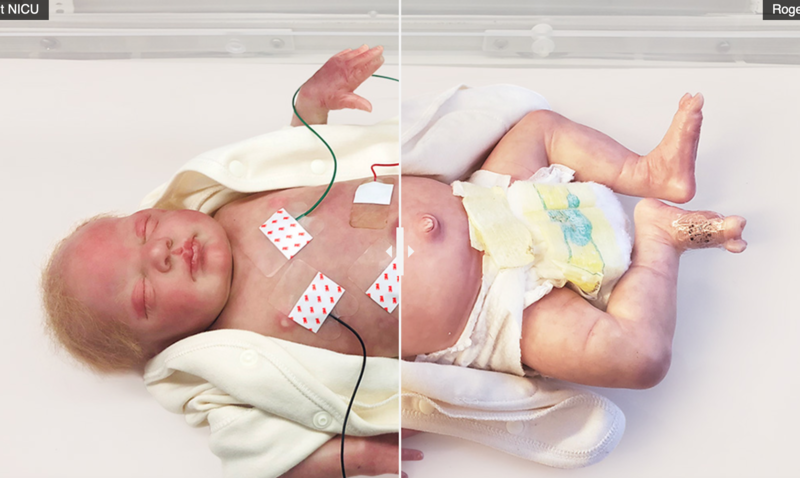 John Rogers and Northwestern colleagues have developed soft, flexible, battery-free, wireless, skin-like sensors to replace multi wire-based sensors that currently monitor babies in hospitals’ neonatal intensive care units. The goal is to enable more accurate monitoring, and unobstructed physical bonding. The dual wireless sensors monitor heart rate, respiration rate and body temperature — from opposite ends of the body. One sensor lies across the chest or back, and the other wraps around a foot. This allows physicians to gather an infant’s core temperature as well as body temperature from a peripheral region. Physicians also can measure blood pressure by continuously tracking when the pulse leaves the heart and arrives at the foot. Currently, there is not a good way to collect a reliable blood pressure measurement. A blood pressure cuff can bruise or damage an infant’s fragile skin. 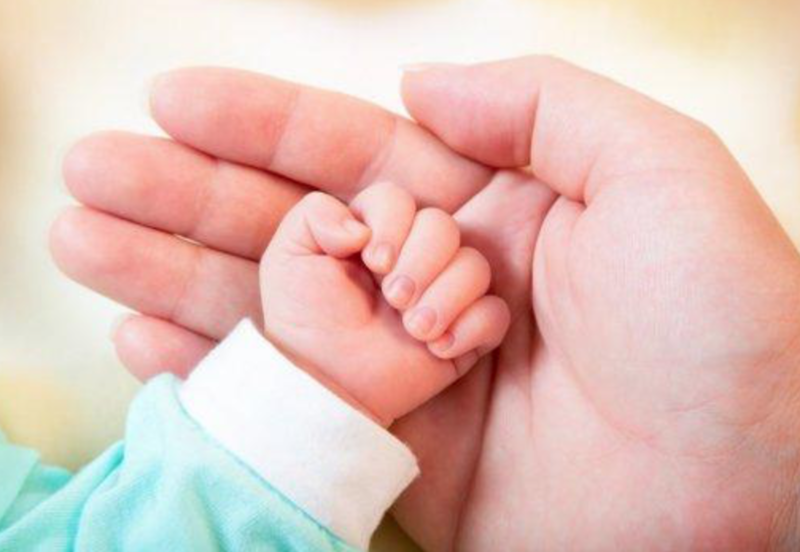 The other option is to insert a catheter into an artery, which is tricky because of the slight diameter of a premature newborn’s blood vessels. It also introduces a risk of infection, clotting and death. The device also could help fill in information gaps that exist during skin-to-skin contact. The sensors also can be worn during X-rays, MRIs and CT scans. UConn chemists Islam Mosa and Professor James Rusling have developed a sensor that could detect pressure, temperature, and vibration when placed on skin. 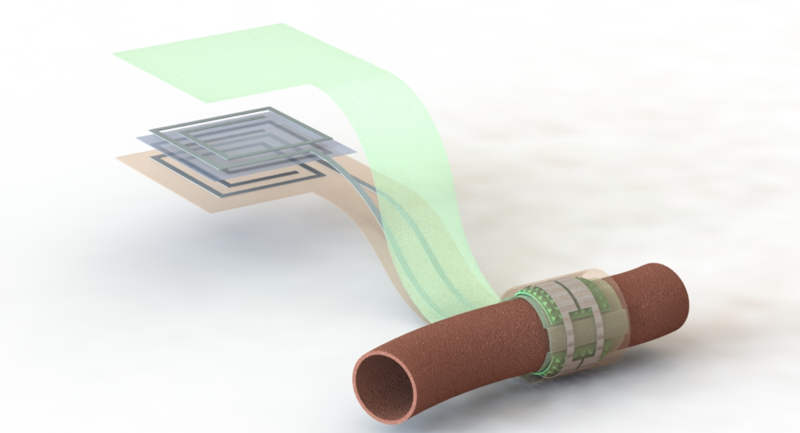 The sensor and silicone tube are wrapped in copper wire and filled with an iron oxide nanoparticle fluid, which creates an electric current. The copper wire detects the current. 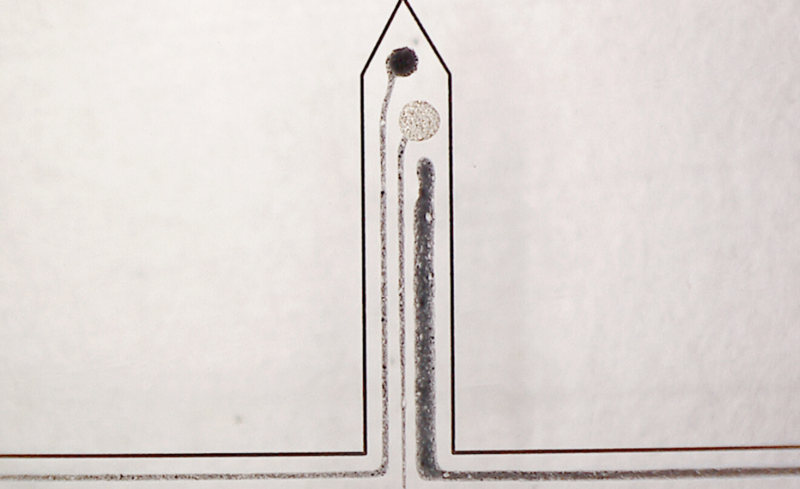 When the tube experiences pressure, the nanoparticles move and electric signal changes. Sound waves also create waves in the fluid, and the signal changes differently than when the tube is bumped. Magnetic fields were found to alter the signal differently than from pressure or sound waves. The team could distinguish between the signals caused by walking, running, jumping, and swimming. The researcher’s goals are to help burn victims “feel” again, and to provide early warning for workers exposed to high magnetic fields. The waterproof sensor could also serve as a pool-depth monitoring wearable for children. 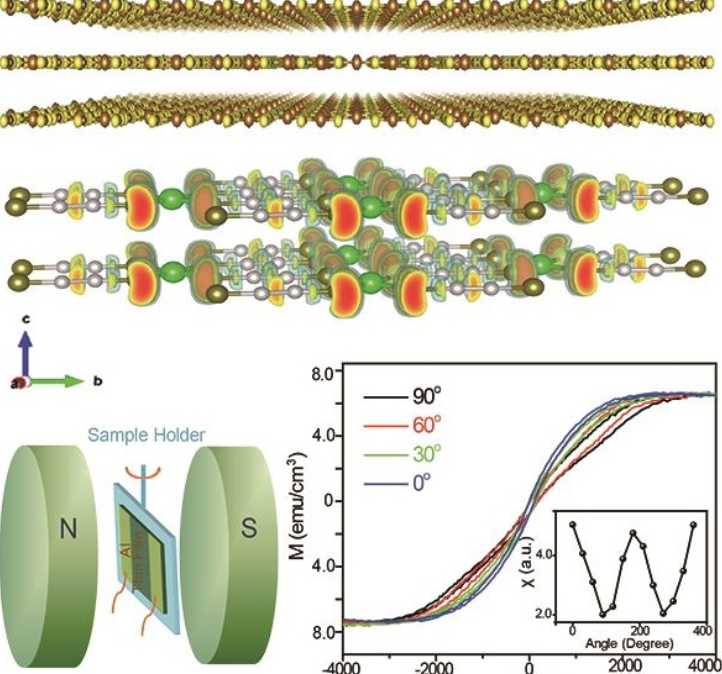 Zhenan Bao and colleagues have developed a wireless, battery-free, biodegradable sensor to provide continuous monitoring of blood flow through an artery. 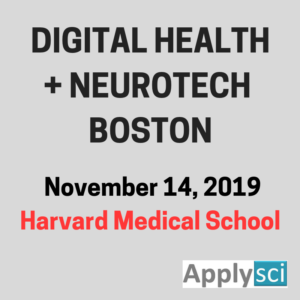 This could provide critical information to doctors after vascular, transplant, reconstructive and cardiac surgery, with out the need for a visit. Monitoring the success of surgery on blood vessels is difficult, as by the time a problem is detected, additional surgery is usually required. The goal of the sensor is much earlier intervention. The sensor wraps around the healing vessel, where blood pulsing past pushes on its inner surface. 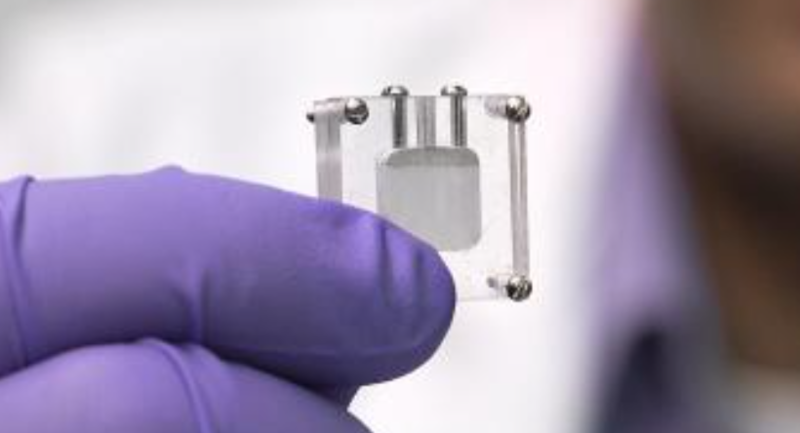 As the shape of that surface changes, it alters the sensor’s capacity to store electric charge, which doctors can detect remotely from a device located near the skin but outside the body. That device solicits a reading by pinging the antenna of the sensor, similar to an ID card scanner. In the future, this device could come in the form of a stick-on patch or be integrated into other technology, like a wearable device or smartphone. MIT’s Bob Langer and Giovanni Traverso have developed a 3D-printed, wirelessly-controlled, ingestible capsule that can deliver drugs, sense environmental conditions, or both. It can reside in the stomach for a month. Data is sent to a user’s phone, and instructions from the phone are sent to the device. 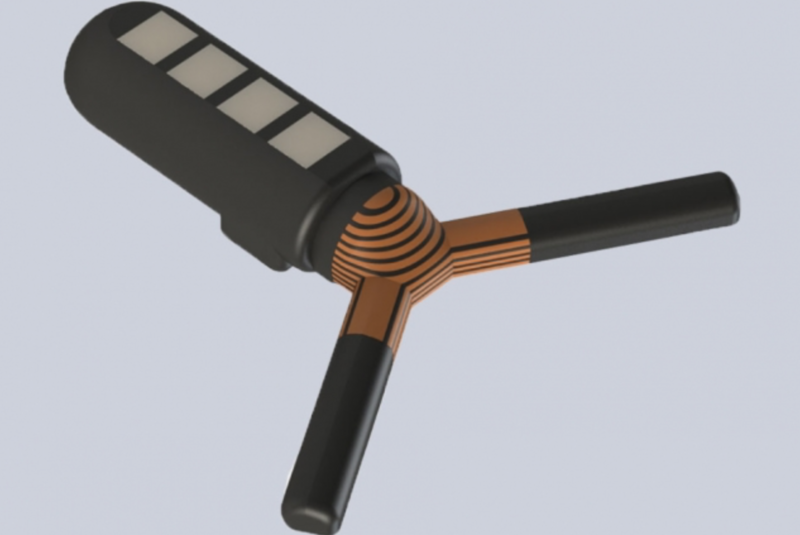 The sensor could also communicate with other wearable and implantable devices, and send the combined data to a doctor. The technology could improve drug delivery in conditions where drugs must be taken over a long period. It can also sense infections, allergic reactions, or other events, and then release a drug accordingly. 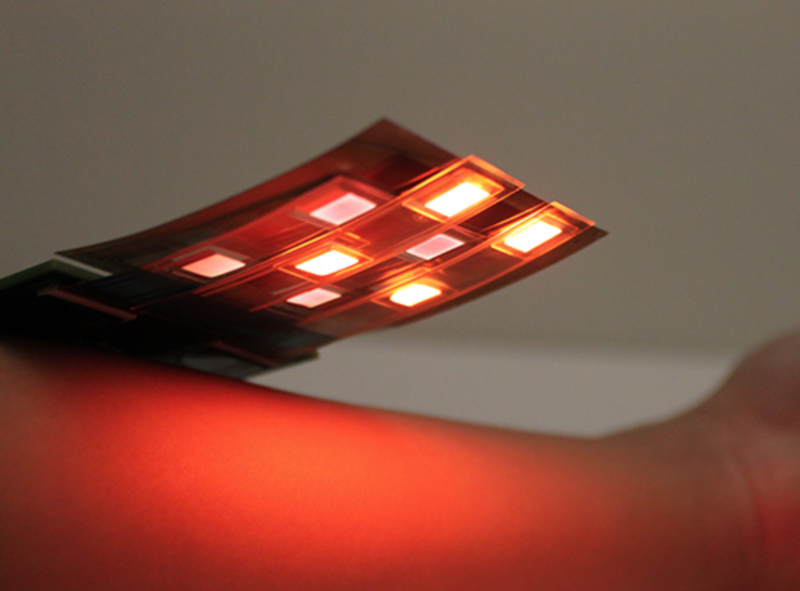 Ana Claudia Arias and Berkeley colleagues have developed a flexible, adhesive sensor that maps blood-oxygen levels over large areas of skin, tissue and organs, making it possible to monitor wound healing in real time, or oxygen levels in transplanted organs. It can also be used to continuously monitor blood oxygen levels in diabetes, respiration diseases and sleep apnea. The device is made of an array of alternating red and near-infrared organic LEDs and organic photodiodes, printed on bendable plastic that molds to the the body. 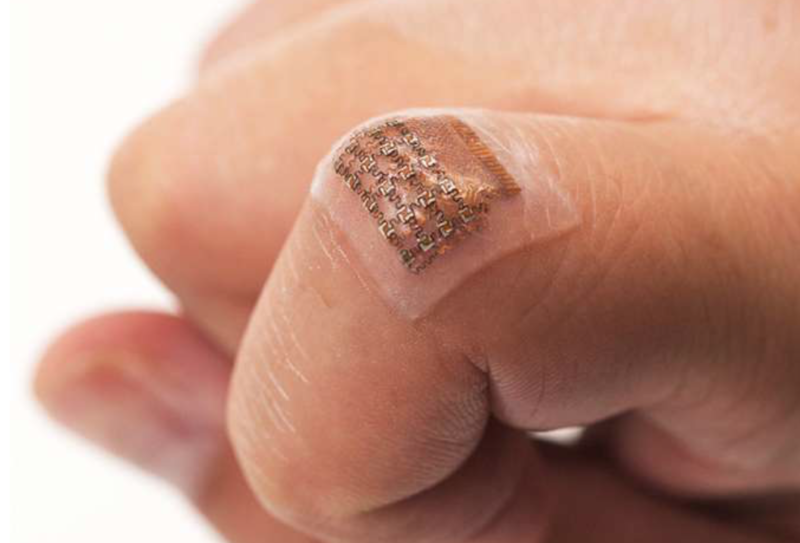 Unlike fingertip oximeters, which measure oxygen levels at a single point, it can detect blood-oxygen levels at nine points in a grid and can be placed anywhere on the skin. Subhanshu Gupta and Washington State colleagues have developed an implantable sensor, powered by harvested blood glucose, for long term monitoring. The electronics consume only a few microwatts of power, while being highly sensitive. Combined with the biofuel cells, the sensor is more efficient than (and non-toxic as compared to) traditional battery-powered devices. Fueled by body glucose, the electronics can be powered indefinitely.